The Lake Mývatn region and its outer worldly unique points of interest make for an exciting and impressive day trip from Akureyri either on its own or as part of the Diamond Circle route. If you have your own wheels and plan on encircling the country, it is an unmissable component of the classic Ring Road trip. This drive it yourself guide to the Mývatn region in Iceland goes over the highlights and main attractions along the way, and providing you with inspiring photos and tips to help plan your own Mývatn Lakes road trip. Roads along the Route 1 are well maintained, clearly signed and often travelled. City driving in Akureyri will be the busiest part of the journey (which isn’t saying much for a population of 18k) for as soon you enter the country traffic is essentially non-existent. Use common sense and adjust your speed accordingly to the often changing weather and road conditions. Always have your headlights on and seatbelts fastened. Dial 112 For Emergencies. You can check reliable, real time road condition and weather alerts in Iceland on the website Vegagerdin. Download the App on IOS or Android. Hold onto your doors! Iceland is notorious for its unpredictable and volatile weather. It’s not uncommon to experience strong gail winds that make it difficult to either open or close your door! Be on the lookout for Icelandic sheep that are known to either stand beside or on the road itself. Slow down and give them a warning honk if they don’t budge. Fuel prices in Iceland are among the most expensive in the world. Gas is approximately 2USD per litre. Diesel is a slightly cheaper fuel alternative, about 10cents USD less per litre. The Golden Circle and South Iceland may hold the imagination of many first time visitors to Iceland but for those with more time to explore the country or take the flight from Reykjavik to Akureyri, the Mývatn region in the North is truly a spectacle that you have to see to believe. 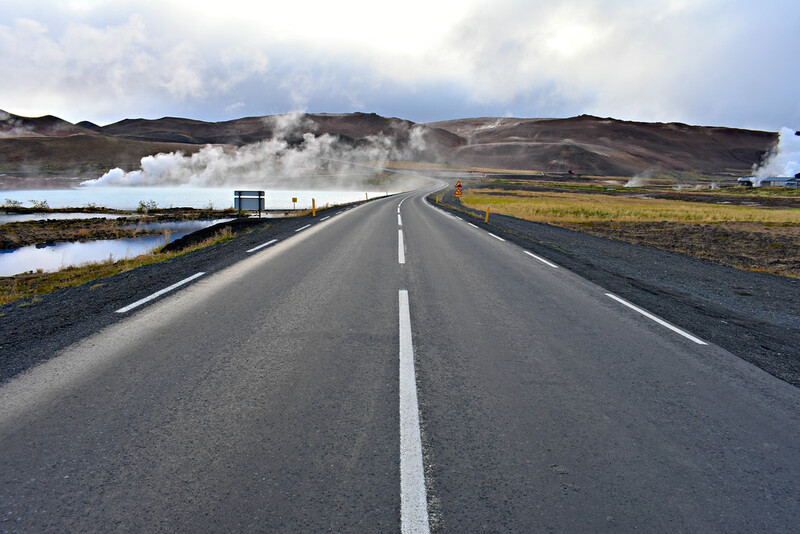 Escape Ring Road and travel on the paved Route 848 looping around Mývatn Lake. 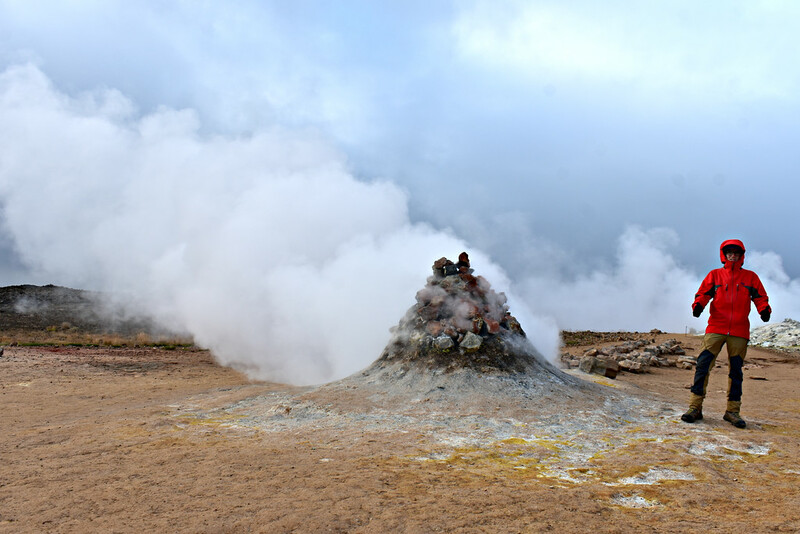 From North to South discover fascinating geologic treasures, inspiring lava desert landscape and feel the power of geothermal activity up close and personal. If you have more time or are a serial sightseer like ourselves, venture into Jökulsárgljúfur National Park and visit one of the most impressive waterfalls in all of Europe. 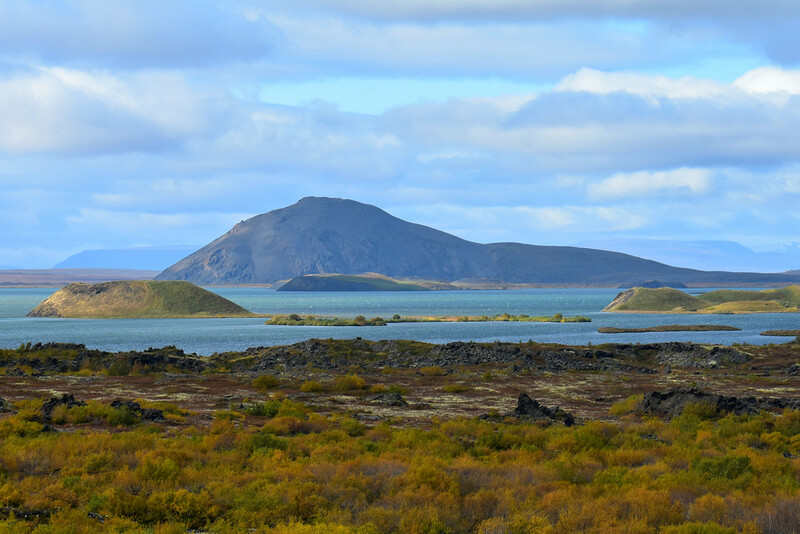 While there are numerous sights around that will likely steal your attention, Lake Mývatn itself is a picturesque lake worth spending time at. Rent a bike from the family owned Hike & Bike shop in Reykjahlíð and tour the shores of Lake Mývatn at your own pace. Would you prefer to meet other people and challenge yourself? Consider taking part in an adventurous off-road fat bike guided tour. Visit the Sigurgeirs Bird Museum along your way and learn about the variety of birds that nest in the area. This scenic lake teems with wildlife in the warmer months scenic and unfortunately also midges, so bring repellent! If you’re just driving by there are pull offs where you can stop and enjoy the vie across the lake. Water may look inviting but don't jump in! Near the Bjarnarflag geothermal power plant 3km east of Reykjahlíð and Mývatn Lake is a brillant pale blue lake with steam rising from the surface. However, this scenic lake is deceptively toxic having absorbed waste from a former processing plant in the area. If you are looking for a soak, Mývatn Nature Baths is close to the toxic lake by Bjarnarflag Geothermal Power Plant. Access includes mineral-rich natural steam baths and a geothermal bathing pool. Soak in views of the surrounding lava field and pastel volcanos. Great alternative to the famous Blue Lagoon in the South. A breathlessly fascinating Martian-like landscape of bubbling mud pots and steaming vents emitting steady steam and gases, also known as fumaroles, can be found in the Myvatn Lake region. Located East of town of Reykjahlíð off the Ring Road, this magical, outer-worldly scenery demands admiration and respect. Light grey bubbles of mud rise and spill over onto the surrounding hues of yellow to brown earth. Roped pathways prevent keen visitors from inspecting the bubbling cauldrons too closely. This may not be the most suitable time for a mud bath. The fumeroles violently blow steam and gases from vents in the ground and piles of rocks have been placed over to stifle the action. This natural phenomenal is an impressive sight to watch, as billows of steam dance into the atmosphere. In fall or winter, strong, cold winds are not uncommon so bundle up if you want to wander around and fully appreciate the freely accessible natural geothermal phenomenons in the Myvatn area. The distinct smell of Sulphur may cause a slight discomfort and your nose to wrinkle. Bring along a scarf or buff to stifle the rotten egg smell. The volcanic Námafjall ridge overlooks the arctic desert landscape of Hverir. The narrow path on the South side of the Ridge is on loose, unstable terrain not recommended in wet conditions. A short, steep ascent rewards you with an expansive view of a barren landscape dotted with hot springs, fumaroles and mud pots. Walking along the ridge grants glimpses of the vegetated Mývatn Lake in the distance to the West. Active steaming vents are speckled on the slopes of Námafjall. The path on the North side of the ridge gently lowers you to the ground as you complete the circuit to your vehicle. In bad conditions and hikers preferring a gentler incline both ways, utilize the North path along the ridge. 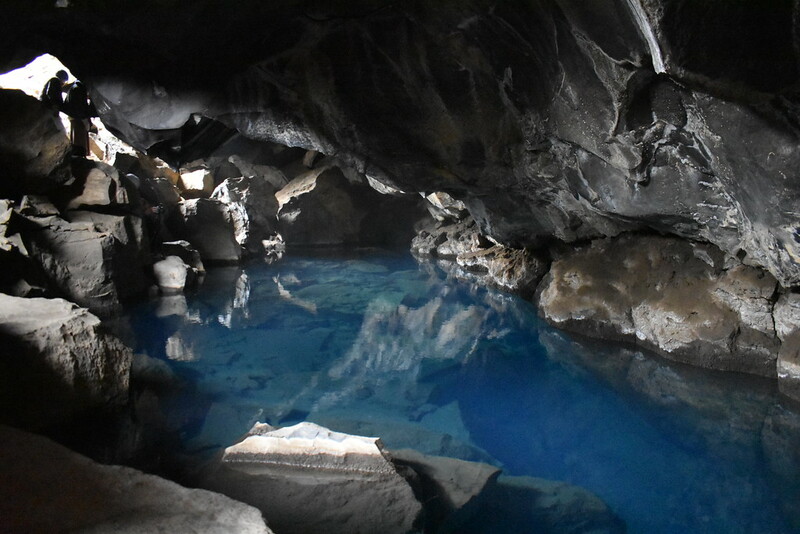 Grjótagjá is a hot spring cave near Dimmuborgir. Gingerly climb down into the cave and admire the astonishingly clear, blue water. 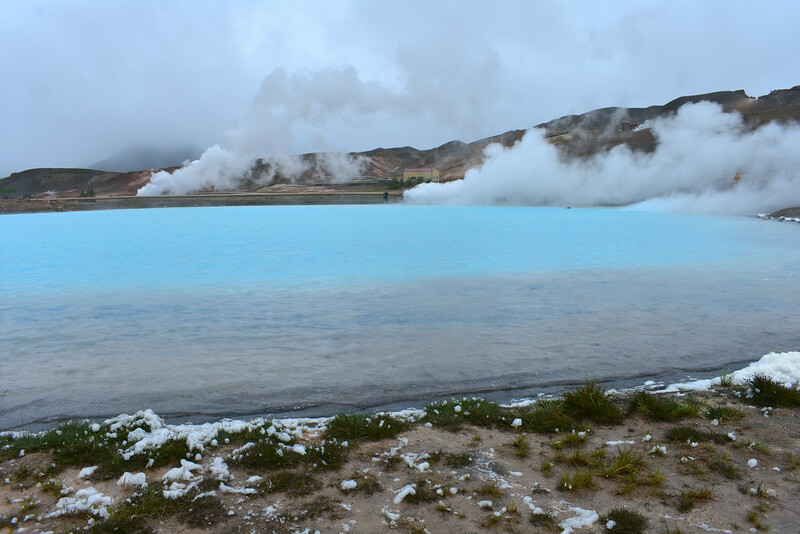 Once a local hot bathing area, the temperature of the water rose drastically due to increased geothermal activity and become unsuitable for recreational use. These days the temperature of the water isn’t scalding hot anymore but bathing is prohibited by the landowners. Game of Thrones enthusiasts will recognize the cave as the locale where Jon and his wildling woman formed a steamy connection. East of Mývatn Lake rising above the lava fields is the towering tephra crater of Hverfell. The impressive crater has a rim diameter of over one kilometre and is one of the largest tephra craters in the world formed during an explosive phreatic eruption, when magma comes into contact with water. An easy walk along a fault line takes you from the NW parking lot up to the crater rim. The view from the rim looking into the crater is incredible and you are better able to visualize the magnitude of the phreatic explosion that produced it. 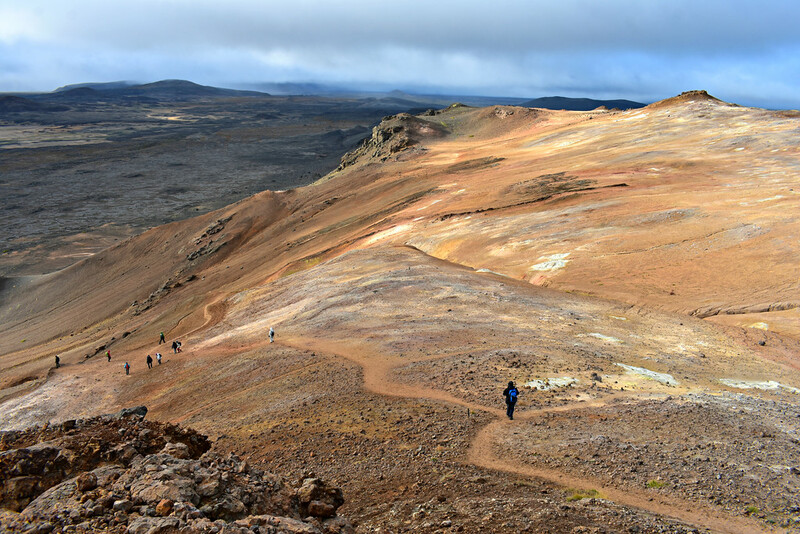 Follow the path along the rim South for panoramic views of the surrounding landscape and Mývatn Lake. Dimmurborgir, translated as “Dark Castles”, is the locale of a fascinating lava field in the Eastern region around Mývatn lake. A short 2000 years ago, following a volcanic eruption, lava flowed into a lake in the basin. The high temperatures of the molten material in water produced lava pillars. The younger lava closer to the surface of the lake solidified over older, still molten lava. When the igneous dam broke, the viscous molten lava was swept away while the pillars stayed intact, producing a network of uniquely shaped solidified lava flows and columns of rock. Very few locations on Earth are you able to locate this geologic process much less casually hike around. Color-coded hiking trails of varying lengths beckon exploration and discovery. Dimmuborgir is also the name of a Norwegian metal band. 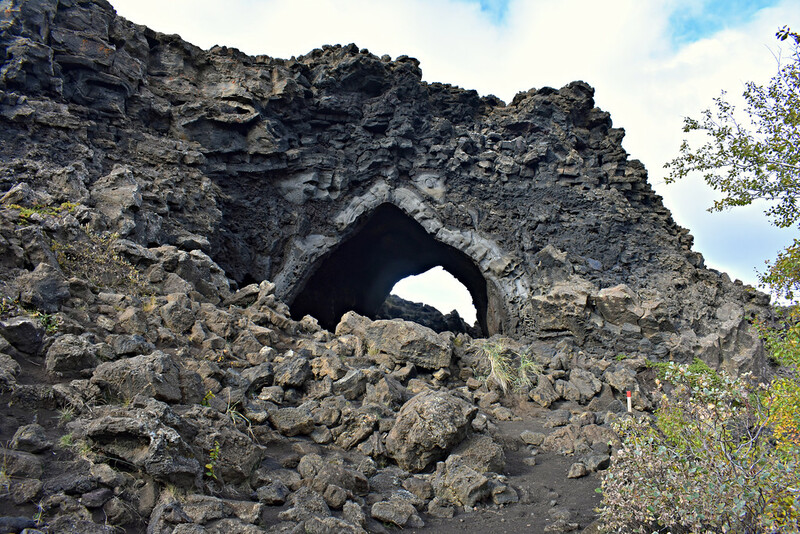 The lava field was also the filming location of the wildling army camp from Season 3 of Game of Thrones. Feeling hungry? Kaffi Borgi offers a soup buffet with 3 types of soup and self-made Rúgbrauð, Icelandic rye bread with a unique twist , it’s baked underground! 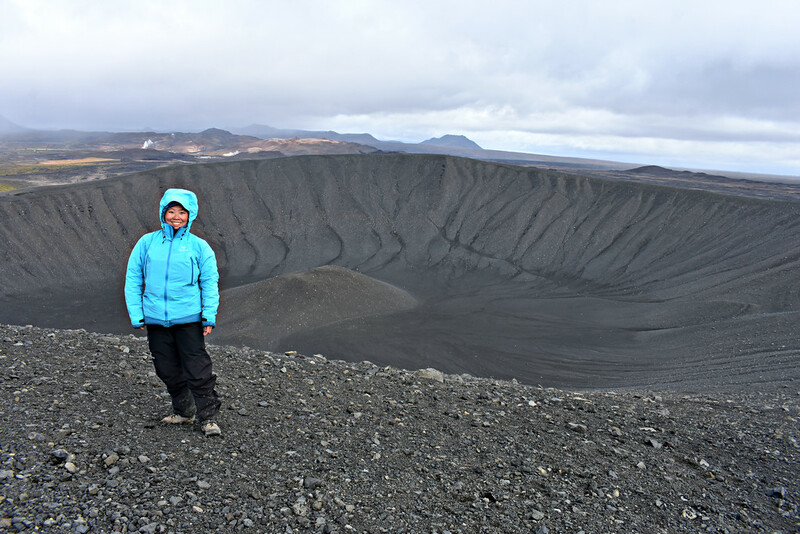 Admire the pseudocraters of Skútustaðir found in the Southern Mývatn lake region from above at Viti crater or get a closer look on the ground level. These pseudocraters were created when magma came into contact with water, brought the temperature of the water past the boiling point then abruptly escaped as steam through the solidifed lava, creating the indents seen in the hills. 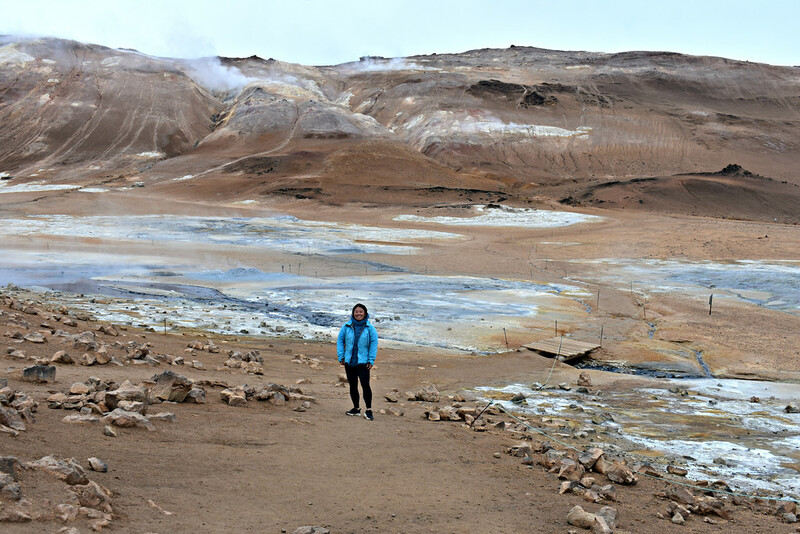 The volcanic area of Krafla (after the namesake mountain) encompasses geothermal power station and the notable eruptions that formed the lava field in this region. 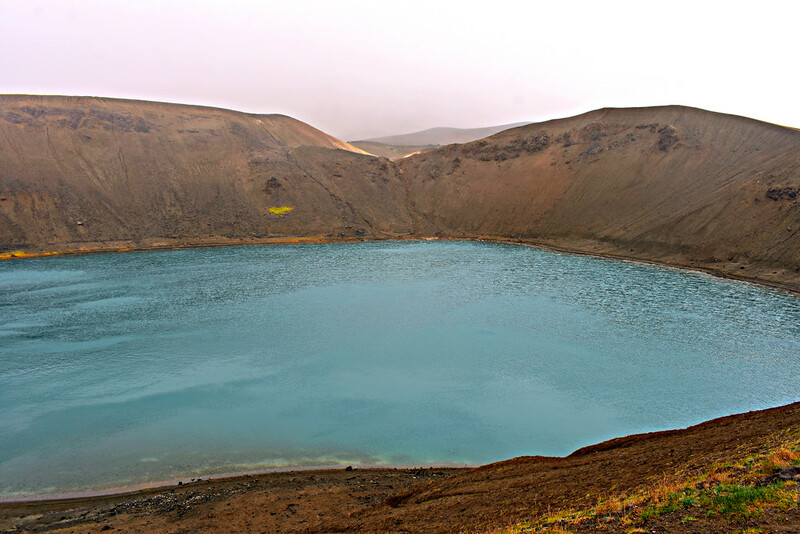 Viti crater is one of Krafla volcano’s vents and was formed following an explosive eruption. This 320m wide crater is now considered inactive. Approach the dirt brown rim and uncover a blue tinged crater lake within. On fair weather days follow the circumference of the caldera to view the second lake behind and to watch the steam unfurl from fumeroles dotting the volcanic landscape. 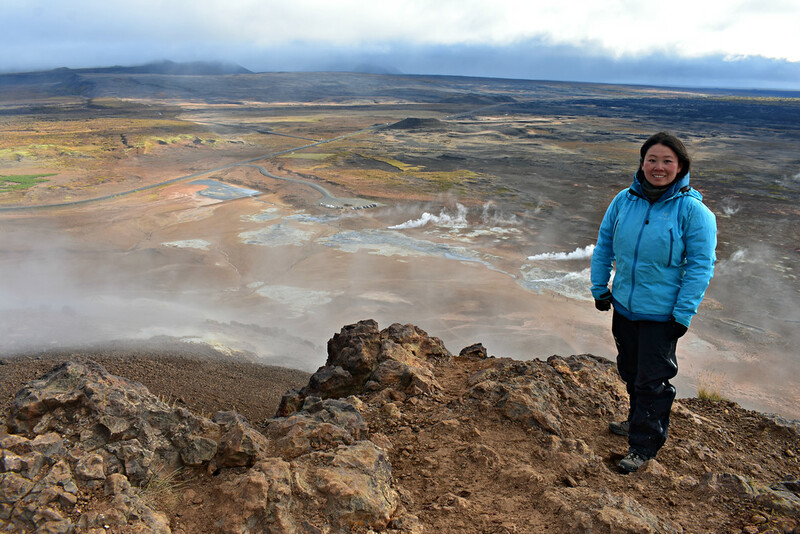 If you have more time consider hiking to the impressive Leirhnjukur crater nearby, passing bubbling mud holes and vents spewing hot vapors and sulfurous gases. 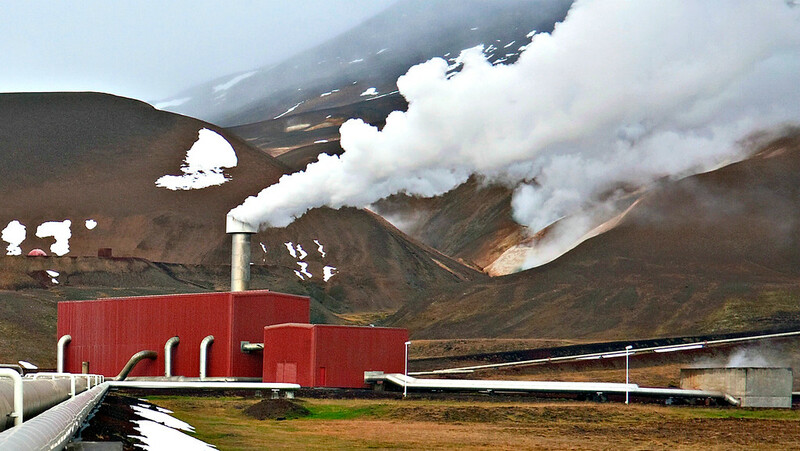 The Krafla Power Plant Station is an interesting geothermal generated complex with massive metallic tubes connected to match box building. Their visitor center hosts a free exhibition showcasing the functional capabilities of the geothermal plant functions. Make sure to stop at the pull over on top of the hill for great views of the plant complex and the surrounding sublime volcanic landscape. 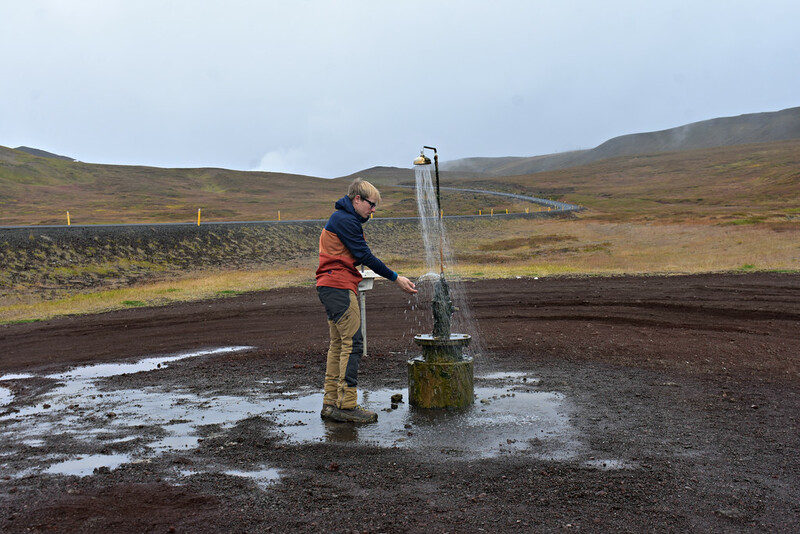 Don’t miss this bizarre functional shower and washbasin by the side of the road on your way to or from Krafla geothermal plant and Viti Crater. The water was hot enough for an impromptu shower! Okay, maybe it was a little too hot! If using Reykjahlíð as a base to explore the Mývatn region Google Maps shows that the total driving time should only take an hour and a half for a cumulative distance of 76km. Remember to have your lights on at all times and have your seatbelts buckled. The speed limit is 90km/hour. Combine this with a respectable amount of time spent at each attraction and you’ve got a full day ahead of you so make the most of it! Self driving the Myvatn Region gives you the wonderful opportunity for a custom tailored experience. It’s not necessary to rent a GPS from your vehicle rental company if you download the map above or utilize the app Maps.Me, an excellent offline map and navigation tool which we use frequently. 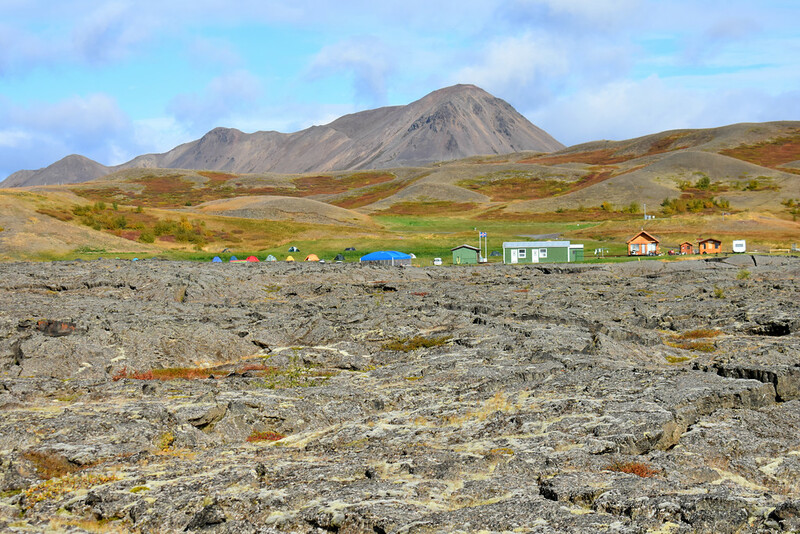 Hlíd Campground – Clean and heated shower and toilet facilities, enclosed kitchen/dining area, and free wifi. Little light pollution in the area so Auroras are easily seen at night if conditions are right. Hlíd Hostel-Spacious common room with a well equipped communal kitchen with views of the lava field. Wifi is included. Ask for sleeping bag accomodation, linen is paid separately. Vogafjos Guesthouse -Century old dairy farm passed down through the generations welcome guests in cozy, wooden cabins and provide a farm to table experience in their Vogafjós Cowshed Cafe restaurant. AirBnB homes are scarce to non-existent in the Mývatn region. If you’re interested in staying with the locals you will have to head to nearby Akureyri and visit the area on a day trip. You can sign up with a new account at Airbnb and get a $30EURO or $35USD discount on your first stay! Planning a Trip To Mývatn, Iceland? Check out our Travel Resources page to find the best websites for booking flights and accommodation, and more deals! If you’re anything like my family who like to be taken care of and not lift a finger on vacation, consider joining the Lake Mývatn Classic Tour or the Diamond Circle Classic Tour taking in Goðafoss, Lake Mývatn, Dettifoss, Jokulsargljufur and Ásbyrgi canyon from Akrureyri. Next time we return to Iceland we’d like to explore the Lofthellir Ice Cave, a lava caving experience containing frozen ice sculptures. Only guided tours are available. Another wishlist item is visiting Askja Caldera in the interior highlands accessible solely by 4X4 drive. We also own a Iceland National Geographic Adventure Map. At night during our spare time we would ink in the roads we’d driven on our road trip in Iceland! Another excellent book to pick up is the Frommer’s Easy Guide to Iceland, a great resource for hiking and outdoor adventures. Finally, if you’re interested in garnering a better understanding of contemporary Iceland, pick up a copy of Alda Sigmundsdottir’s entertaining and readable “The Little Book of Tourists in Iceland“. Iceland is notorious for its unpredictable and versatile climate. It’s not uncommon for the weather to change in the blink of an eye. Be prepared for sun, rain, hail, and wind. We recommend waterproof jackets and boots, quick drying pants, warm layers to take on and off depending on the weather. Shop our favourite Iceland travel essentials to keep you warm, dry and comfortable all day! Road tripping around the Ring Road? 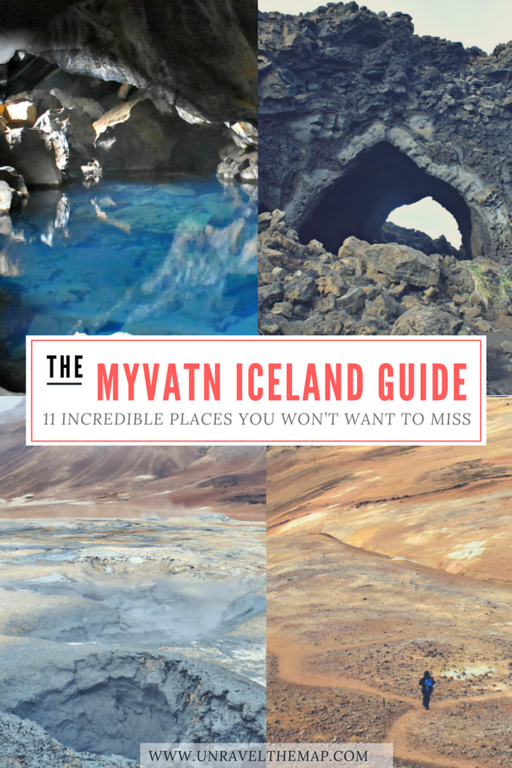 Check out our guide to Myvatn, Husavik or the South Coast Iceland. Go off the beaten track in the West Fjords or enjoy the popular Golden Circle Route near Reykjavik. Enjoyed this post? Make sure to share with friends or Pin it for later! Planning a trip to Iceland? 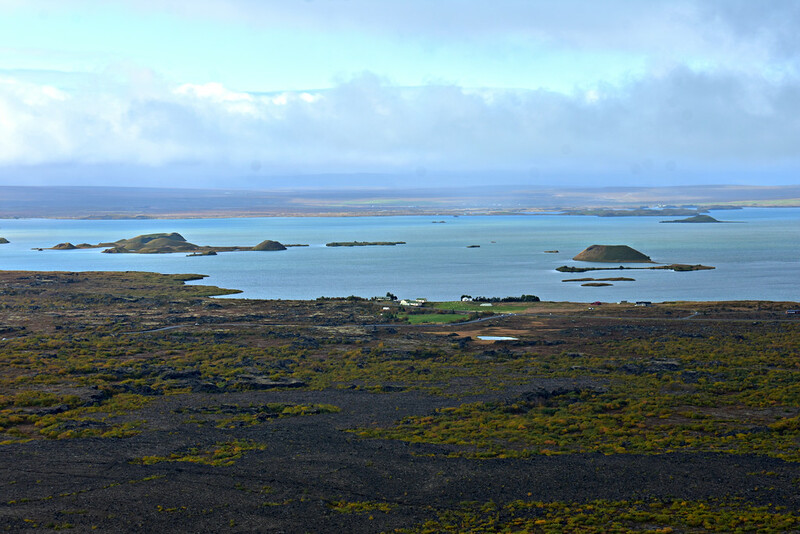 Would you rather drive or take a tour of the Mývatn region? Let us know if you have questions or comments below! Oh wow. I’ve always wanted to visit Iceland. All these places sound amazing. It was always high on our travel destination list and we’re so ecstatic that we finally took the plunge and went! Iceland lived up to and even surpassed our expectations. I have always wanted to go to Iceland, it seems like such a beautiful place, the food is also really intriguing. Your post just made me want to move this to the top of my bucket list after Japan. Iceland is a jaw-droppingly beautiful and unique country to visit! Icelandic bread baked underground was definitely one of the most intriguing foods in Iceland, that and rotten shark! Thanks for the tips. I have to visit Iceland it looks magnificent! I did not know about the strong winds or sheep in the roads. No problem! Iceland was every bit as incredible as we had imagined it. The winds are not to be reckoned with. There were times we had to hold onto our doors when opening them or else they would fling open! Icelandic sheep roam freely from spring to fall and thus you’ll often spot them by the side of the road. There are a few that like to live on the edge but generally, they move out of the way quickly! Iceland looks so beautiful! It’s always been on my travel bucket list, and your post will definitely help when the time comes! So many great tips & suggestions! Becca, Iceland is sensational! It’s one of those countries that draws you back over and over. We definitely plan on returning in the future and we hope you have an excellent time when you get there yourself! Reading this blog post has been an educational experience. I just thought of Iceland as a place of snow and ice. However, you let us know that Iceland was much more than that. Of particular interest to me is the presence of volcanoes.You spoke of the volcanic area of Krafla with its strong eruptions that led to the creation of a lava field. Can one explore the viti crater. I would like to get close to the Leirhnjukur crater to view the bubbling mud holes and vents spewing hot vapors and sulfurous gases. I think that would be a wonderfully scary experience. Hello Ingrid! Iceland is often nicknamed as the Land of Ice and Fire due to its glaciers and volcanos. The Viti Crater we visited is not safe for swimming, only viewing. You can easily walk around the rim of the crater. Indeed it’s an incredible and memorable experience to wander around the mud pots and steaming vents and we found it to be more fascinating than scary! Iceland is high in my bucket list. I think that for a first timer like myself I would go with a tour guide. The pictures are stunning, those views are something out of this world. Super cute. Wonderful suggestions. I still need to make it to Iceland. It looks and sounds amazing!